There has been a wheel chair and an insert for a child with a belt 'kicking around' here for a very long time. The idea has been toyed with to just get rid of it, but it never happened. Yesterday, a mom carried her son into the clinic to be seen by a doctor. 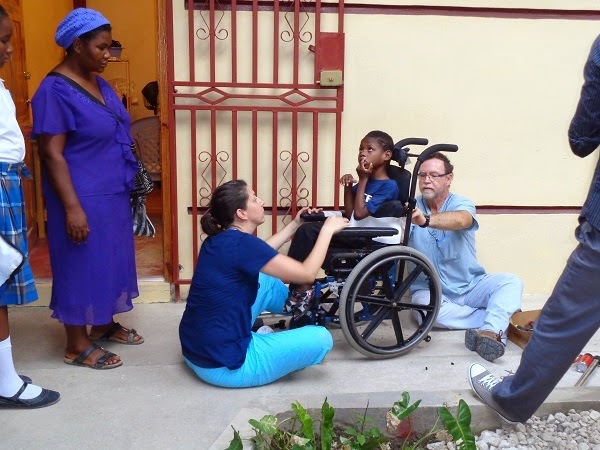 It turns out that this boy has cerebral palsy and hasn't walked for five years. Mom has carried him around whenever they go somewhere. 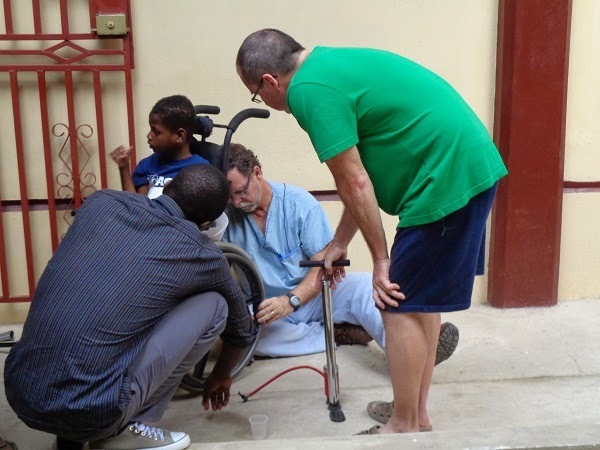 We realized that we had this wheelchair on hand and with the help of Dr Chuck, Many, Wade and Brit, they got the chair fixed up so he could be wheeled home and anywhere else from now on. That is what makes it worth while being here.